We are a leading Exporter of embroidered polo t-shirt badges from Varanasi, India. 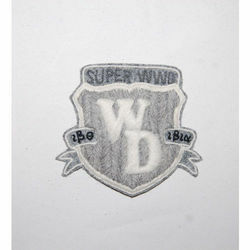 Fashion embroidered badge made of madera woolen thread. Easy to patch on any t shirt and washable as well. Looking for Polo T Shirt's Badges ?